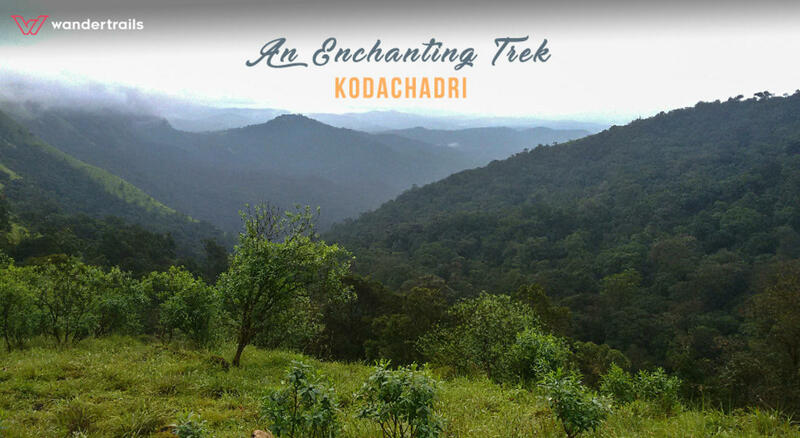 The most beautiful of the three mountain peaks of coastal Karnataka, Kodachadri is home to beautiful forests and has been a popular destination for trekkers. It is recognized as a natural heritage site, and once you are there, you will know why. This beautiful peak is located a little over 400 km from Bangalore and makes for a perfect weekend getaway. In this trip, you will not only trek up the highest peak of Shimoga district of Karnataka, you also get to experience the thrill of kayaking in the river as well as visit some places of stunning natural beauty. Kodachadri peak receives heavy rainfall, which makes the place look enchanted – pristine and unsullied. Your experienced host will guide you through the ups and downs of the route, pointing out to all the sights worth seeing. Learn more about the mountain, the fascinating tales of Hindu mythology linked to the temples located on this mountain and so on. The revered Hindu pilgrimage site Mookambika temple is located nearby. Starting from Bangalore, an overnight travel will take you to Kodachadri where your accommodation in a homestay has been arranged. After breakfast, you can start trekking along the daunting trail that takes you up the mountain. Feeling the stress? The mesmerizing beauty that nature has bestowed upon these mountains takes them all away. A bridle path will take you to the Hidlumane waterfalls en route. The thundering of the falls heard from afar hastens your footsteps and the spectacular sight that greets you at the falls is a revelation. The indescribable beauty of nature experienced at these waterfalls is like a breath of fresh air. You can frolic in the waters and enjoy to your heart’s content before you continue forward. On a clear day, Kodachadri peak offers stunning views of the Arabian sea in the far distance. Stay back to watch the sunset beyond the sea, spreading variegated colours in the sky. Visit the stone temple dedicated to Adi Shankara located at the top. With the day growing darker, descend back down and continue over to the homestay where a cheerful campfire dinner and a good night's rest awaits you. Start the next day with the exciting activity of kayaking and return in time for a good breakfast. Check out and head back to Bangalore with another stop at Nagara fort – an 18th-century fortification. Head back home with beautiful images of the verdant mountains and a revived soul steeped in the freshness of the mountain air.